Online learning is revolutionising higher education for the working adult. Thanks to online learning degrees, working adults can now further their education with minimal impact on their current lifestyle. Here are four advantages to online learning for adults. An online learning degree provides a flexible study option for those with time commitments as students are given the freedom to study at their own convenience. Course materials are always accessible online which means that students can learn anytime and from anywhere. This allows students to fit studying around their personal schedule which is particularly ideal for those who need to balance work and family commitments. Online learning allows the student to study at their own pace which puts them in control of their own learning path. A student can review content as many times as they need to which makes it easy to digest information. Students are free to submit work and take exams when they are ready so learning is a completely stress-free process. This makes online learning a suitable option for all types of learners. Online learning provides a more affordable pathway to education. Course fees are much more cost-efficient than traditional university study. There are usually no required course materials as the students are given access to these resources for free online. Associated costs are also minimal with no commuting costs to university classes or parking fees. Online learning degrees have created opportunities for students to enhance their skill set and gain qualifications in a field of study which is great for those looking to advance or refocus their career. The courses have now become central to continuing professional development and give students an instant competitive advantage. Working adults find that the online courses make them better qualified for new roles which puts them in a strong position to increase their earning power. What are the main benefits of studying online? 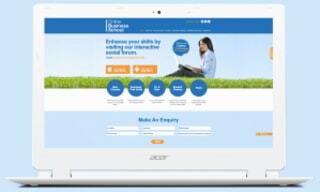 Online Business School offers a complete degree for as little as £5000. OBS offer the first stages of a degree with a cost effective pathway to the final year. You can then “top up” at one of our partner Universities to complete the final part of the degree. This is by far the cheapest and most flexible way to gain a degree from a respected UK University. Today, many students complain that they cannot afford to study full time at University as the cost is too high. However, it is important to note that when students study online with Online Business School, the overall fee is dramatically reduced and they have the flexibility to manage their own study schedule. So it is possible to continue working whilst working towards your qualification. You will save a lot of money, not only on the academic side of your studies, but also the living expenses associated with on campus study. With a 24/7 student networking platform, personal dashboards, 1-2-1 online tutorials, group webinars and bank of pre-recorded group webcasts, the Online Business School provides students with all the support that they need to succeed in developing their professional skill base and achieve a university qualification. Considering the rapid growth of mobile learning, OBS app has recently launched allowing users to access our resources and study anywhere. Most importantly, the app will create the best learning experience for the OBS students, enabling them to learn on the go. With solely online learning for the first two years, this allows the student to study in their own time and continue working not losing out on any income. After two years the student will receive their diploma and then can choose to go onto their top up gaining their full qualification through online study or attend a UK university. 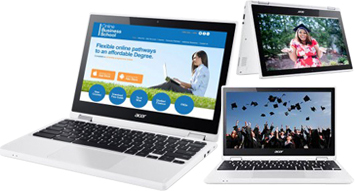 Click here to see the University pathways offered by Online Business School. Once you enrol onto an Online Business School course you will be able to communicate on the Social Forum with other students, helping each other with any problems or any questions you may have. You can gain advice from other students. This gives you the ability to express and see different views within the same topic. OBS offer courses to people all over the world, from all different backgrounds. So this International Business School will allow the students to have an opportunity to study and sustain a qualification at an affordable price without having to come over to the UK. Students can study our courses whilst working, raising a family, or any other activity that might take up a lot of their time. This can then benefit students by progressing in their current work role once they have received the degree. It will also give a lot of opportunities to people who have a hectic life without having to go to study on campus each day. The students can also apply for more advanced jobs with their degree and begin the career they have always dreamed of. A huge benefit of the Online Business School is that there are no physical lecturers or seminars. Students will not have to fight that morning commute, miss out on money from a job or miss any family commitments. Students can now study in the comfort of their own home – you can even sit there in your pyjamas completing the modules!